Meet PISCES! This boy is SO gorgeous, his pictures do him no justice! His eyes are a stunning mixture of soft green & baby blue and are so soulful. Pisces is a sweet boy who enjoys the company of people & other dogs his size (he isn't a fan of little dogs, but enjoys big dogs! ), loves to give kisses & play. 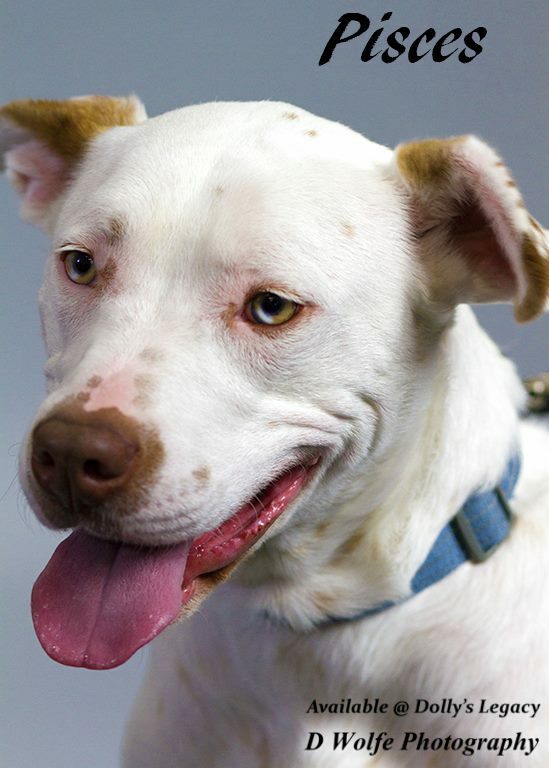 He came to us from southeastern Missouri where he was picked up as a stray along with Popeye; neither were claimed by an owner. Time ran out for both of them & Dolly's Legacy stepped up to rescue them. Pisces is approximately 18 months old. 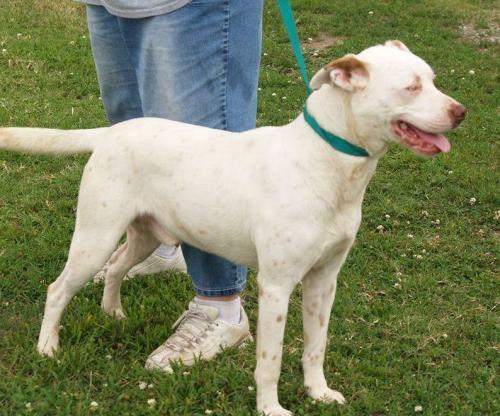 He is a Dalmation/Pitbull mix with a white coat and auburn freckles. He weighs 50 lbs. Pisces is neutered, microchipped, vaccinated, dewormed & given flea/tick prevention. 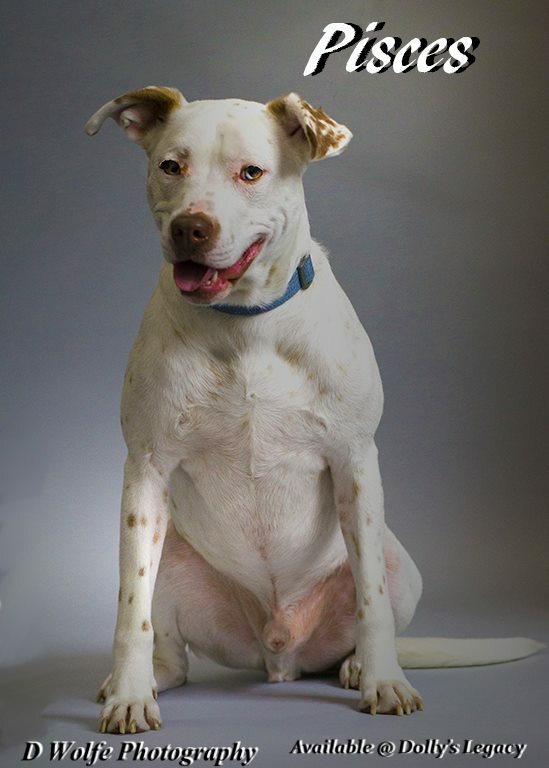 He has completed heartworm treatment so he can go on to live a long & happy life. Adoption fee is $200. For adoption guidelines and to submit an application, please go to this link. We are a foster-home based rescue group and do not have a facility. The first step is to have you complete our online adoption application. All adoption appointments are scheduled after your application has been approved. We are 100% volunteers & will generally reply within 3 days of application submission. PLEASE be sure to answer all questions completely or it will delay processing, be sure to include vet phone#. If you have any questions please email DollysLegacy@aol.com. Please 'LIKE' our facebook page to learn more about our rescue, see more pictures & get updates on all our adoptable pets!